Are you of an Asian ethnic background and want to get started in the adult industry? Check out Sakura Live. Sakura Live is the top Asian camming site featuring girls of Asian ethnicity. You don’t have to currently be living in an Asian country or even speak Japanese, Chinese or other Asian languages. You simply need to be of Asian ethnicity. English-speaking models are welcome! Here’s all the details. What Is Required To Become A Sakura Live Model? Computer – You’ll need a computer. Most modern PCs or laptops will be able to run the live streaming software just fine. Webcam – You’ll also need a webcam. 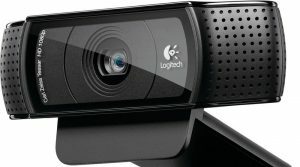 An HD webcam is highly recommended, although you can get started with a stock laptop webcam as well. High-Speed Internet – You’ll need high-speed internet. The faster the speed, the better quality the feed and the more money you’ll earn. It’s suggested to use an ethernet cable instead of wifi. Place To Perform – You’ll need a place to perform your shows. Most models will either perform out of their bedroom or a extra room used only for camming. Make sure it’s clean, well lit and nobody is accidentally going to walk in on you. Anything Needed For Performances – There are certain outfits, toys or props needed to perform certain type of shows. If you want to do a show that requires anything, you’ll need to acquire those items before performing that specific show. How Much Do Sakura Live Models Make? There is no set salary and all income is performance-based. You get as much out of it as you put in. All Sakura Live models make 30% of the customer spending. You get to choose how many hours each day you perform. The more time on cam, usually the more money you’ll make. Other things affecting earnings is the model’s attractiveness, personality, quality of the feed, type of performances and other factors. he minimum is $200. Payout is once per month, on the 20th. Payment requests must be submitted between the 1st and 5th JST. Sakura Live offers wire transfers as a payment type. Ready To Get Started? Join Sakura Live Today! Ready to get started? Register as a Sakura Live model! The registration process is quick and easy. As soon as your account is verified, you can get started right away! Join the largest and most popular Japanese camming site. Work from home, performing the type of shows you want to do and only work the hours that you want to. Get started as a camming model now! Want to see what else is available? Check out our list of camming sites hiring models. It makes it easy to compare all the different camming sites side-by-side. See what the different camming sites pay models, how much traffic they get and other valuable information. See how Sakura Live compares to the competition and what else is available. Next Cam Model Store: Sell Products, Services, Shows and More!